Hello and welcome to the central headquarters of CAGE RAGE. 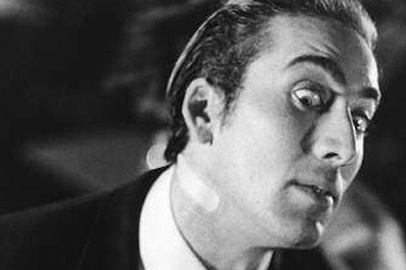 CAGE RAGE is basically, me reviewing every film Nicolas Cage, the genius, has ever starred in. The list of his filmography is below this, every time I review one I’ll highlight it with a link to the review and next to it I will put my new CAGE RAGE star rating out of five. 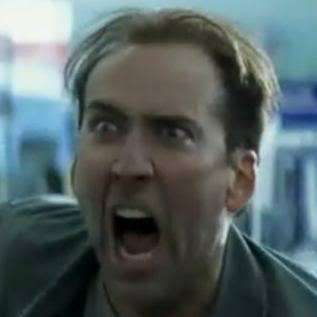 The CAGE RAGE rating scheme will not judge the film or even Cage’s overall performance it is solely provided as in indicator to let you know how much Cage goes mental in the film and, therefore, whether you want to watch it or not. I’m mostly going to be working through the list in chronological order but there are two exceptions, the first being that all films still to be released in the cinema I will watch in the cinema and review straight away, the second is that animated films will be left out until all the live action ones are reviewed, because its not pure Cage. Hope you enjoy!